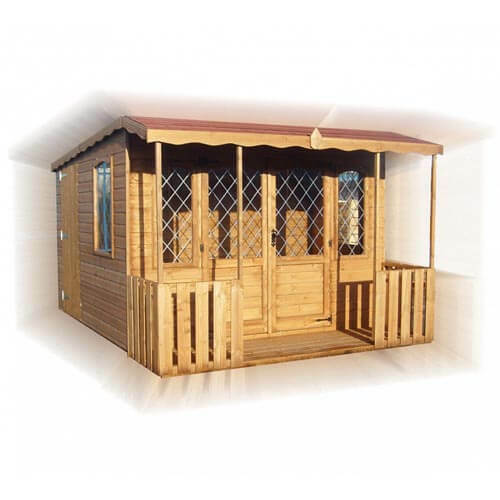 The dual pent gives you a great-looking summerhouse which is practical throughout the year. With sizes from 6ft x 8ft through to 16ft x 16ft, there are plenty of options to get the right-size summerhouse for your garden. It includes an integrated 4ft storage room with side access by a security door which features bolted hinges and padbolt protector. For a summerhouse which is practical but still lets you enjoy the summer weather, the dual pent is perfect for you.